This very Georgian looking house supposedly dates from around 1870. 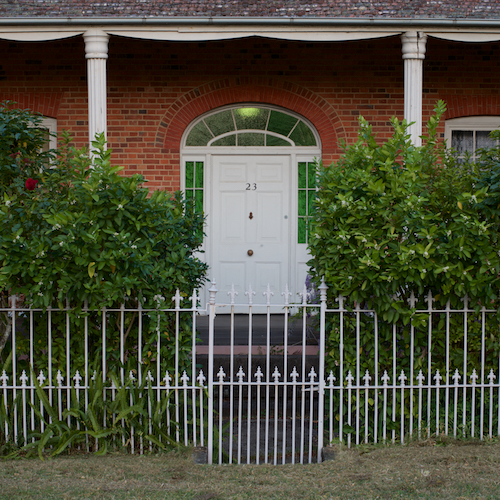 Originally built for a Dungog storekeeper it was purchased and refurbished by the Presbyterian Church in 1889. In 1938 a fire destroyed the roof and gables. Despite the damage the interior is intact, having wide doorways, rough planed floors and other features suggestive of earlier colonial architecture. The large chimney stacks draw six fireplaces including two in the enormous vaulted cellar, which retains it's original lath and plaster finish. www.dungogmuseum.com.